Breeze through high-level reports with ease, or drill down on a specific conversation. Snaps makes your data digestible, actionable and exportable, from the highest level down to the smallest detail. 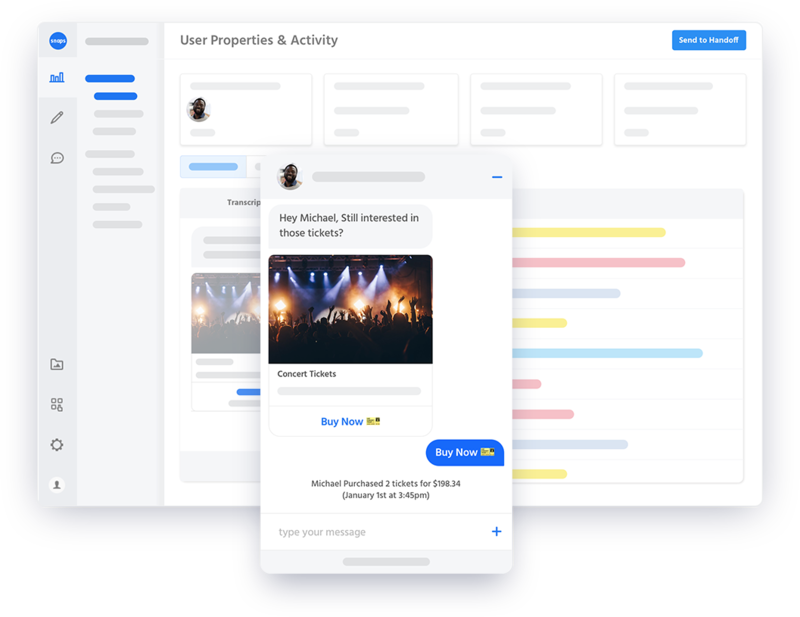 Snaps offers a full suite of tools to help you analyze, segment, test and optimize your Conversational AI experiences. Dive deep to track completions, drop-off rates, CSAT, conversions and other key performance indicators. Custom Reports: Build custom KPI reports as your goals evolve. Give every team the metrics they need to track performance. Segmentation: Create and track cohorts, based on properties or events, with our segment builder. Real-Time Monitoring: See conversations in real-time, and set alerts to understand when core contact drivers or KPIs change quickly. Drive to a conversion, deflection or completion by setting goals and tracking how many consumers pass through each stage. Leverage A/B testing, re-engagements and content updates to improve completion rate. Snaps Analytics and SDK tracking plugin allows your team to view the entire customer journey. 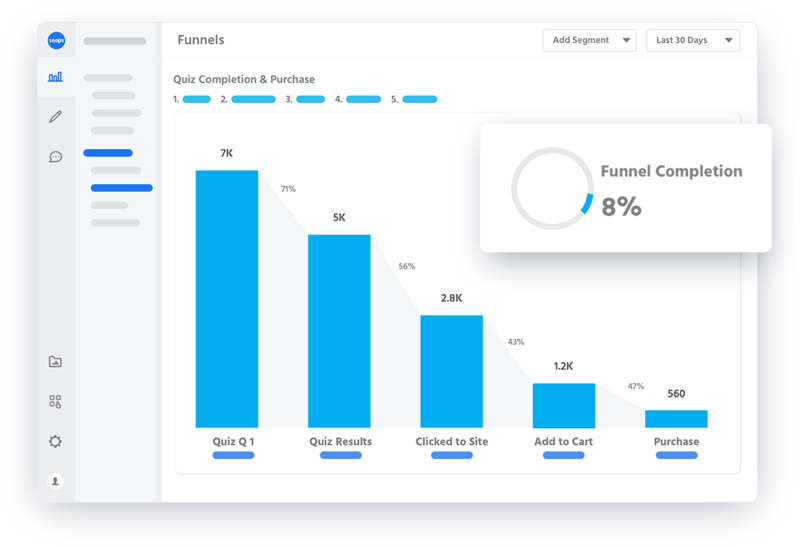 You can analyze profile & conversational data, click outs, page views, conversions and more to gain insights that help you optimize your AI and the customer journey. Explore conversations with our interactive sankey diagram. Track and measure how your re-engagements are performing based on KPIs. See which products or content drive the highest click-out engagement.